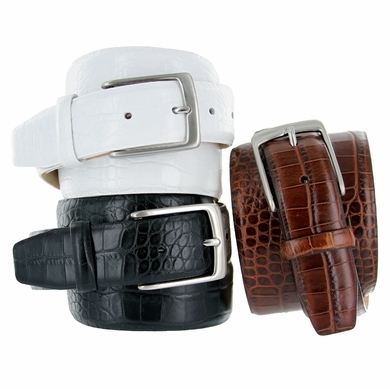 Italian calfskin lined with soft genuine leather, featuring a solid gold plated or silver plated buckle with matching leather loops. 1-3/8" wide. 7 holes for a better adjustment. Comes with snaps to take on and off your buckle.